1. Lookout has made many friends for his ability to sire attractive, elegant females with the body type to show and make very useful cows. 2. 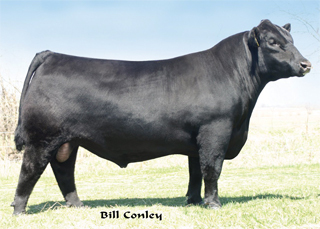 His reputation as a great heifer sire is rivaled only by his ability to work on Continental cattle. 3. He ranks in the top 30 percent of the breed for the antagonistic traits of $EN and $Weaning, while enhancing docility and REA.